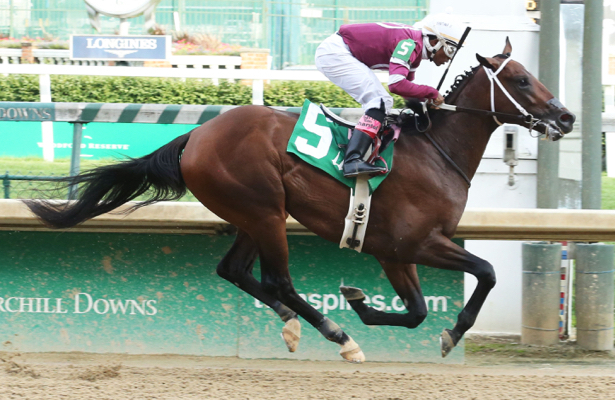 Saturday's Grade 3, $200,000 Lecomte Stakes kicks off Fair Grounds’ Road to the 2019 Kentucky Derby. While no Lecomte winner recently has gone on to take the Kentucky Derby, Oxbow followed his New Orleans triumph with a Preakness victory in 2013. This year’s edition attracted an overflow field, giving us quantity mixed with some quality. While none of the crop’s current top runners showed up, it is plenty possible that we can see a future major player emerge. 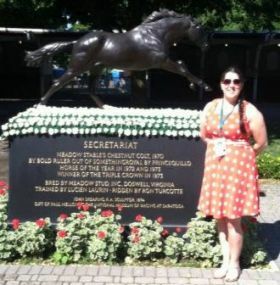 As in years past, Laurie Ross, author of Horse Racing Nation's Pedigree Power blog, and Ashley Tamulonis of From Coast to Coast, will put their heads together to produce handicapping and commentary on the Derby preps. With no clear favorite in this year’s Lecomte field, keep reading to see who the ladies ultimately selected. WICKED INDEED – Just ran around out there in his second start and was no match for Tackett, but appears he could rebound off a good pre-race breeze. Gives up experience, and will have to run faster to be a match for some of these. Pass. Wicked Indeed – The first of two for Winchell Thoroughbreds and Steve Asmussen, Wicked Indeed has raced exclusively as Fair Grounds. His speed figures aren’t great, but he could get a nice trip along the rail right behind the early speed and pounce in the stretch. Maybe. MALPAIS – He ran a group of maidens off their feet in his second start. But as with Wicked Indeed, Malpais gives up experience to his rivals here. Also stretching out to two turns and gets a jock switch. Could move forward, but there are others I like better. Pass. Malpais – From the barn of Joe Sharp, Malpais is a last out maiden winner. He caught a sloppy track upon debut but found the winner’s circle in his second start. He took a drop in class for that race but also had a fast track to work with. His dam was a minor stakes placed sprinter, so I’m not sure how long this one will want to run. Pass. TACKETT – Son of Limehouse showed talent in his second start, winning by open lengths, and tenacity in his third start, battling and winning an optional claimer by a neck. But who did he beat? Second-place Owendale has been bested by Roiland and Mr. Money in the past. Speed figures are consistent, but he may have company on the lead and need to step it up a notch to run with the proven stakes horses. Pass. Tackett – This gelding intrigues me. He is a perfect 2-for-2 at Fair Grounds with both of those races carded at the same distance as the Lecomte. Trainer Michael Stidham is not a high-percentage graded stakes winner, but this placing feels right. Tackett’s speed figures have improved with each start, and another step forward puts him squarely in the mix. One to consider. MR. MONEY – Wasn’t in the same league as the top three in the Breeders’ Cup Juvenile, but the son of Goldencents did have a troubled start and an outside trip. He placed fourth, and may have been closer with a better trip. He’s been training sharply, including a second-to-last bullet work, but his late pace speed figures say he’s another that needs improvement. Maybe next time. Pass. Mr. Money – Bret Calhoun sent this son of Goldencents to the Breeders’ Cup Juvenile off just a maiden win, which came in his third start. That confidence paid off with surprising fourth-place finish despite bobbling at the start. Another effort like that will probably win this race, and while this is his first start since the Breeders’ Cup, he has stayed in training. One to watch out for. NIGHT OPS - He has yet to find the winner’s circle after five tries. He came close last time out, but still fell a half-length short to Admire, a Lecomte rival. Maybe he should have stayed in California. Pass. Night Ops – Still a maiden after five starts, Night Ops is one I will take a hard pass on. Normally trainer Keith Desormeaux puts his brother Kent on his good ones, so the fact that Edgar Morales has the call is telling. No, thanks. HOG CREEK HUSTLE – He showed improvement in his last two speed figure-wise. Off slow inth Sugar Bowl Stakes, he didn’t make up ground on the winner, but did improve position and finished a one-paced third. On the plus side, he’s making his third start of the year and had a sharp pre-race breeze. The son of Overanalyze gets a jock switch to Florent Geroux, but trainer Vickie Foley is 0-for-5 in recent graded stakes tries. Don’t think he’ll win it, but could pick up a check. Exotics. Hog Creek Hustle – With a name reminiscent of a backwoods dance conducted with some liberal consumption (I can say that being from the deep South) and a trainer with no graded stakes wins, the only thing this colt has going for him is that Geroux thought enough of him to hop aboard him for the first time. Hog Creek Hustle’s previous graded stakes effort was nothing to write home about, but he did put in a good showing in the Sugar Bowl in his last start. Half-brother Majestic Dunhill was stakes placed, so this may be a hunch bet for me. ROILAND – He adds blinkers for his first start of the season after having issues in his last two outs. Gets a jock switch to Amoss’ go-to guy, Fair Grounds' leading rider James Graham, and the son of Successful Appeal has three sharp breezes under his girth. If there’s a sharp pace, he could be right there at the end. WAR OF WILL – He tried turf unsuccessfully in his first four starts, but had a ball playing in the mud in his last start, beating maidens by five lengths. So, is he a whole ‘nother horse on dirt? His full brother Moving was unplaced in two dirt starts, but half-brother Tacticus captured two of three starts on dirt, including the listed Birdstone Stakes. In morning breezes, War of Will has excellent extension and a beautiful long stride, indicating a fast main track won’t be an issue. What might be a factor is dirt in his face. Tyler Gaffalione thinks enough of the colt to fly in from Gulfstream Park to ride. War of Will is making his first start off a layoff, and while there are still questions to be answered, this colt has a classy family and the speed to win if he handles fast dirt. War of Will – This son of War Front began his career on the turf for trainer Casse. While he was competitive and Grade 1-placed on that surface, he did not get his first win until catching a sloppy track at Churchill Downs back in November. Until I see him on a fast dirt track, I am not exactly sure what to make of his dirt ability. However, Casse tends to place his charges where they can win, so I’ll give him a shot here. MO SPEED – Showed that he’s capable on dirt after shining in an off the turf event last out. War of Will’s stablemate is lightly raced, but goes out for the high-percentage Mark Casse barn. The drawback is that Geroux rode the colt in his last but switches to Hog Creek Hustle. Mo Speed’s breezes are average, and he may be in the thick of a contested pace. Mo Speed – Like stablemate War of Will, Mo Speed began his career on the lawn. Unlike the other colt, however, Mo Speed broke his maiden on that surface before annexing an off-turf optional claimer over a fast track at Fair Grounds. Geroux was in the irons for that race but will be aboard Hog Creek Hustle for the first time ever instead. CHASE THE GHOST – Finally got the distance his pedigree craves in his last race and recorded a 3/4-length length victory over maidens. Dallas Stewart is synonymous with one-run closers who have done well in the preps and Kentucky Derby. He’ll be running at the end. Chase the Ghost – Hailing from the family of Grade 1 winner Cotton Blossom, Chase the Ghost finally got his picture taken in start No. 5 when stretching out to 1 1/16 miles. The speed figures could be better, but this colt certainly does like the Fair Grounds track. Stewart and jockey Corey Lanerie have been hot recently, and I could certainly see this one filling out the exotics. TIGHT TEN – Had to steady and hit the rail in the Breeders' Cup Juvenile. Previously, the free-running colt was first or second on all of his starts. He’ll likely be wining it on the front end and will take them as far as he can. Exotics. Tight Ten –If this colt could just get out of his own way, Asmussen and Winchell Thoroughbreds could be looking at another potential champ. His race lines read like a demolition derby: shied, hit rail; bobbled start, lugged in; bumped start; hit rail. Despite all that, or perhaps because of it, this is a colt I really like. He’s shown talent by placing in both the Saratoga Special and the Iroquois, and I think being drawn toward the outside of the field will ultimately benefit him. He has speed and some staying power, so if Ricardo Santana, Jr. can keep him out of trouble, here’s your winner. PLUS QUE PARFAIT – This is an adaptable colt, as he’s won contesting the pace and from far off the early lead. His speed figures fit, and he should be right there at the end. This is a colt who will benefit from distance. The only question: is 1 mile and 70 yards far enough? He has the length of the Fair Grounds stretch to find out. Plus Que Parfait – While I will end up backing Tight Ten, this is the one that scares me. He just missed in the Kentucky Jockey Club, coming from the rear of the field but running out of track. Julien Leparoux will stay aboard, and the outside post means they can run early or gain late like last time. Must use. MANNY WAH – With seven races under his girth, he’s the most experienced colt in the race. His two victories were earned when he had it his own way on the lead, but in the Sugar Bowl, the colt was off slow, moved quickly up the rail and was slowly making up ground in the stretch. Will he contest the lead from his outside post, or did this pony learn a new trick? Anyone’s guess, but he’s game and a must-include. Manny Wah – As Laurie mentioned, Manny Wah is the veteran of the field, but he also boasts the highest last race speed rating. However, that was at a sprint distance. He has been fairly consistent and did beat Hog Creek Hustle in their last outing. They will both be facing tougher, but this field is hardly representative of the top echelon of the crop. The numbers say he belongs, but there are others that I like better. ADMIRE – Another lightly raced, last out maiden winner. This one ships in from Gulfstream, where he’s recorded a consistent work pattern for Dale Romans. Giving up experience and will have to deal with the far outside post. Pass. Admire – If the LeComte were longer, this is the colt I would be all over. Sire Cairo Prince was poised to be a potential champion, and his dam is by Indian Charlie, lending some speed to the underside. Admire broke his maiden in his second start, stretching out from six furlongs to nine. That was on a sloppy track, which does raise some questions, but at 20-1 on the morning line, I can leave some questions unanswered. WEST TEXAS – This also-eligible beat maidens by seven lengths in his debut. Doubtful he’ll get into the field, but if he does, he’ll be up against it. Pass. West Texas – Should this gelding draw in, he could provide some cheap speed. He won his only start in maiden claiming company and has not raced at a route distance. There isn’t much else to say. Pass. Note that recent Lecomte Stakes history favors horses who pressed the pace or sat mid-pack in the early stages. Previous winners last raced in November or December.